Capability and longevity meet with the 2017 RAM 3500, making competitors like the 2017 Ford F-250 run for their money. Take advantage of all that a pickup can do with intelligent cargo storage and assistive technology that the Ford F-250 can’t offer. Plus, the cabin of the RAM 3500 is something to be reckoned with. Find out what advantages make the RAM 3500 the top choice below, then take the RAM 3500 on a test drive near Chatham today! 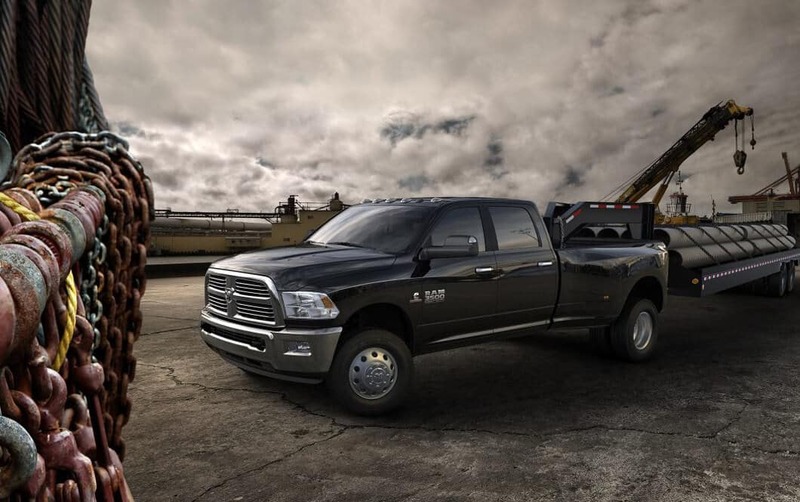 Keep your belongings secured as you take on jobs in the greater Chicago area with the award-winning RAM 3500, and offer passengers a luxury experience in Jacksonville inside of this rugged truck. 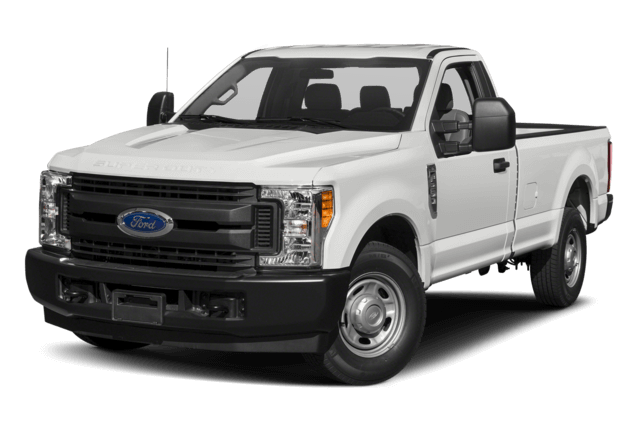 The Ford F-250 simply doesn’t compete with the balance of durability and first-class treatment. Cargo Management: The RamBox Cargo Management System includes locked and secure side bed storage, a cargo bed extender and divider, and cargo box lighting. There’s also rear underseat storage–the only comparable feature available on the Ford F-250. Cargo View Camera: When you secure your goods in the truck bed, you can keep an eye on them thanks to the smartly-placed camera that hooks up to your 8.4-inch Uconnect display so you can monitor more fragile goods. The Ford F-250 offers no such feature. Suspension: The RAM 3500 offers the class-exclusive Rear Auto-Level Suspension with both Normal and Alternate Ride Height options The Ford F-250 doesn’t have a comparable system to help you for smoother rides when you have a full load. Infotainment: The Uconnect 8.4 touchscreen display allows you access to a Wi-Fi hotspot, a one year complimentary subscription to SiriusXM Radio, and Voice Commands as well as audio controls and smartphone integration. The SYNC®3 infotainment system on the F-250 gives you smartphone access, audio controls, and voice commands, but no high-speed internet connection. We have the RAM 3500 available in many trims to choose from, so come in and pick the one you want to take on a test drive today! Our showroom is located at 3801 Wabash Ave. in Springfield. 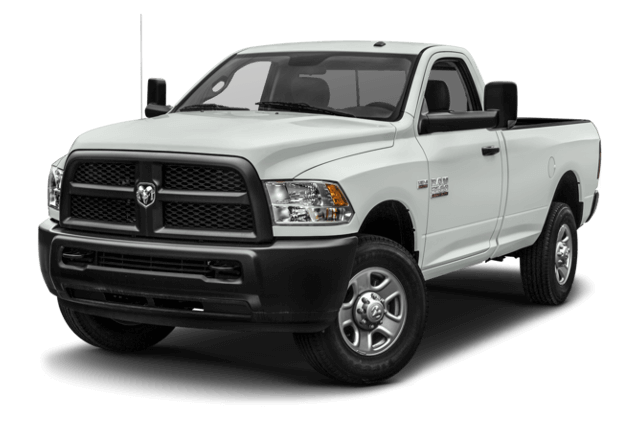 Find out why we’re the premier RAM dealer for Taylorville drivers from our stellar customer service to understanding finance department. We welcome all comments and questions from our customers, so make sure to drop us a line online!